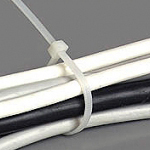 Cable Ties We stock a huge range of cable ties from standard nylon to hook and loop and stainless steel cable ties. Call for bulk discounts ot to take advantage of our price beater! We stock a huge range of cable ties from standard nylon to hook and loop and stainless steel cable ties. Call for bulk discounts ot to take advantage of our price beater!